63 total shares. Be the next! 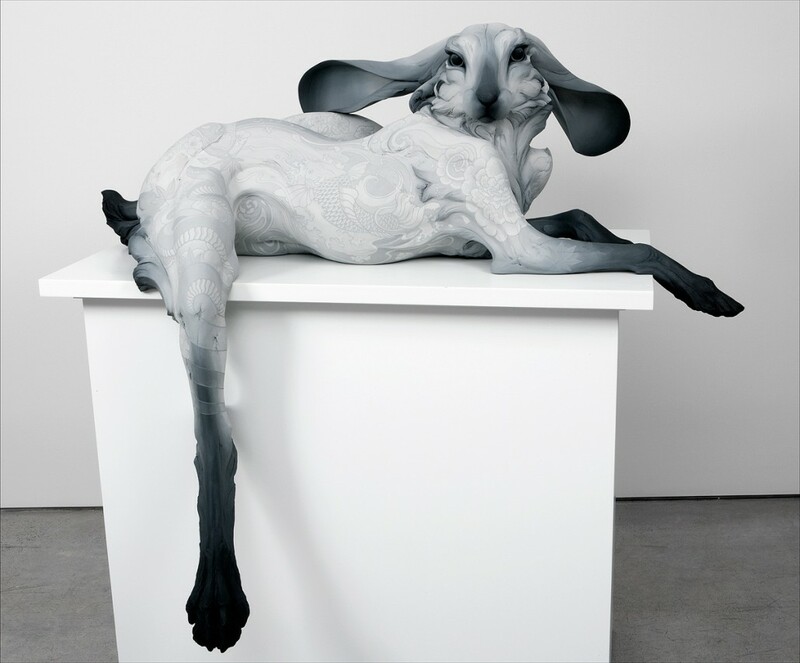 Save Beth Cavener to your Collection. Register Now! 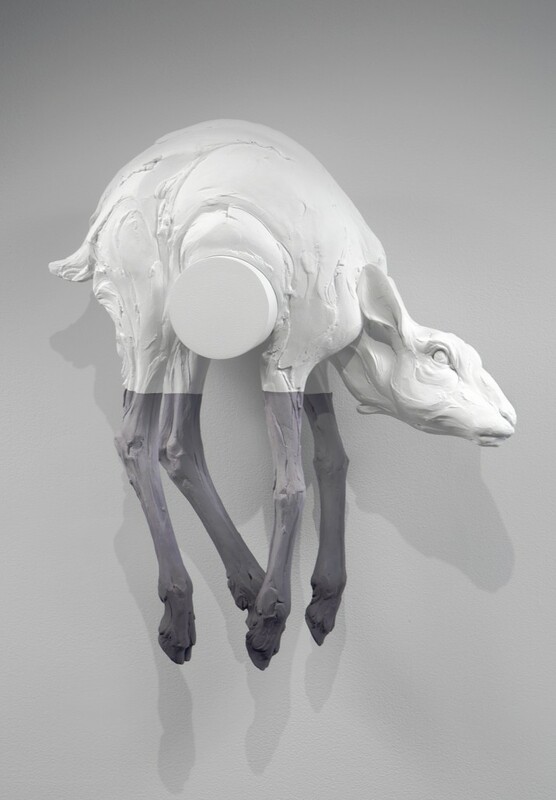 My work focuses on human psychology, stripped of context and rationalization, and articulated through animal forms. Entangled in their own internal and external struggles, the figures express frustration for the human tendency towards cruelty and lack of understanding. I rely on animal body language as a metaphor for these underlying patterns, transforming the animal subjects into human psychological portraits. I love these sculptures and wish that I had one. Sat and soaked up every picture, every expression on her we bsite. Absolutely amazing. What a talent. I am always amazed by Beth's attention to detail & her ability to portray such human emotions through a lump of clay which has been beautifully transformed into an animal. Keep up the good work, Beth. I am thrilled with your accomplishments at such a young age. Denmark love Beth's work too. Hope to see some of your pieces in Europe. Freaking enjoyable in a bizarre pleasurable way. Forwarded the artisan's link to all my animal lovers, animal raisers and animal killers....hunters! These creatures pull you in with both feet....excellent work...and fresh. Beth's work leaves me trembling. I marvel at the emotion her talented hands create in her animals...and in me. I am amazed how many times I am drawn back to her two inspiring animals and the emotional response that I felt. I really like Beth's work. Each piece does a masterful job of conveying a multitude of feelings and impressions. What I like most is that I am drawn back to her pieces again and again because each time - I am struck by a new or different perception of the piece. In short, they keep talking to me. Beth does a great job of evoking an emotional response through the animals that she creates - perhaps another compelling aspect of her work is the use of animals themselves which speaks to us of innocence and purity - a white canvas on which she paints the human condition. but interestiing perspectives in which I find impresive finimpressionenlightening. She has a future,and a gift. Am awaiting more porducts.